Vivo AFT Tool V5.1.18 is a small application for windows computer which allows you to flash the stock firmware on your Vivo Smartphone and Tablets in few clicks only. It also allows you to get the complete IMEI information of the Vivo device, of which you can take the backup with the tool easily. 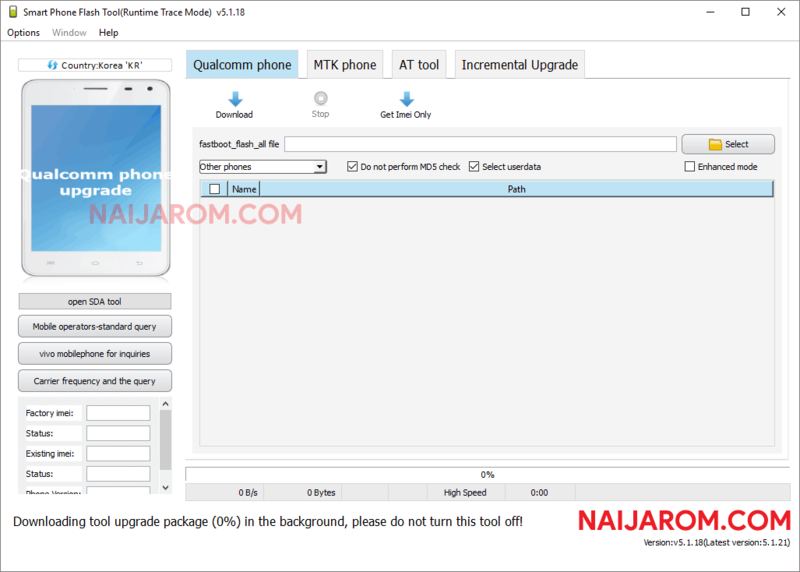 Vivo AFT Tool V5.1.18 supports various Vivo devices running on Qualcomm Chipset and Mediatek Chipset. If you wish to flash the stock firmware on Qualcomm devices, you need to have the Stock Firmware which is having the fastboot_flash_all bat file. You can load the firmware in the tool by clicking on the select button. In the same way, To flash the stock firmware on the devices running on the Mediatek chipset, you need to have the scatter file based firmware. In order to use the Vivo AFT Tool properly, you need to install the Universal ADB Driver on your Computer. Once Driver is installed you can successfully connect your Android Device to the computer, and launch the Vivo AFT Tool on the computer. [*] Credits: Vivo AFT Tool is created and distributed by Nurul Amin (developer). So, full credits goes to Nurul Amin (developer) for sharing the tool for free.